The two words are … (drum roll!!!) … ‘of aggression’. That’s right! We can’t win a war OF AGGRESSION against China or Russia. The Chinese Navy is not doing “freedom of navigation” exercises in the Caribbean or off the coast of New England or California. 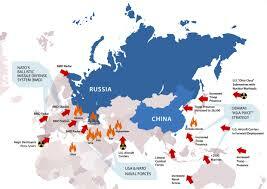 Russia and/or China are not conducting huge war games in Canada or Mexico. 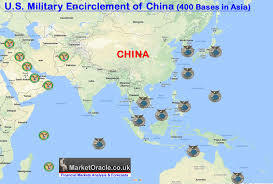 There are NO Chinese or Russian bases anywhere in our hemisphere. 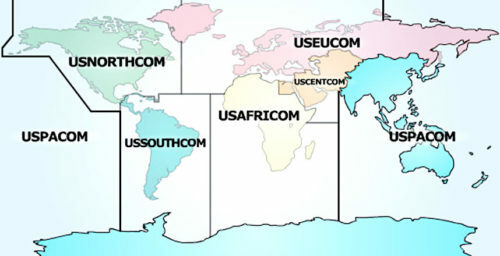 Moreover, while both Russia and China have conducted large-scale war games — important to note these are exercises in defending against large scale attacks from an aggressor — they are held in Russia and in China, not in bordering countries, and certainly not thousands of miles away in “our immediate sphere of influence”. Linguistically, this difference is in just one word, both in Russian and in English; Russia is preparing for war, and the US is preparing a war….Yes, Russia is preparing for war, I have confirmed it. We are preparing to defend our homeland, our territorial integrity, our principles, our values, our people — we are preparing for such a war. John Rachel has a B. A. in Philosophy, has traveled extensively, is a songwriter, music producer, neo-Marxist, and a bipolar humanist. He has written eight novels and three political non-fiction books. His most recent polemic is "The Peace Dividend: The Most Controversial Proposal in the History of the World." His political articles have appeared at many alternative media outlets. He is now somewhat rooted in a small traditional farming village in Japan near Osaka, where he proudly tends his small but promising vegetable garden. "Scribo ergo sum." Read other articles by John, or visit John's website. This article was posted on Friday, November 23rd, 2018 at 2:23am and is filed under China, Media, Militarism, Russia, Social Movements, United States, War.